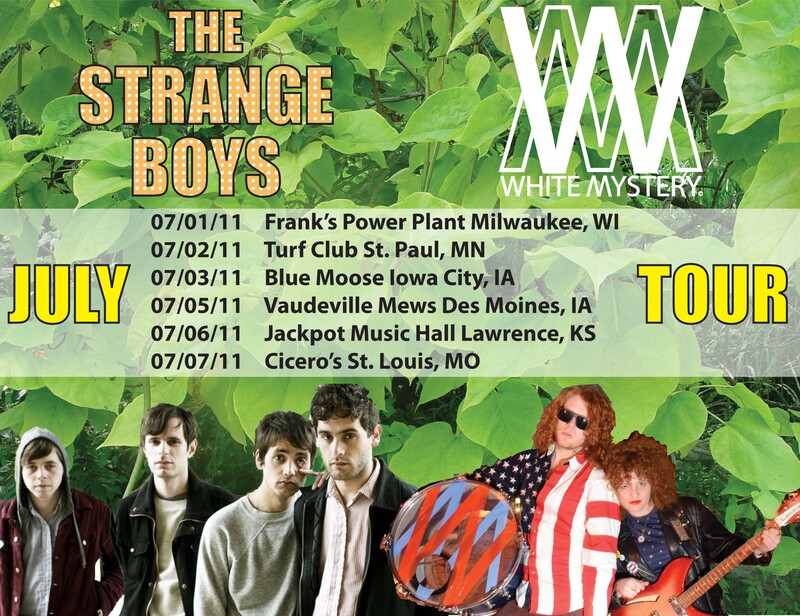 The White Mystery/Strange Boys Tour was righteous! See photos on Facebook here. WHITE MYSTERY SHREDS IOWA CITY! 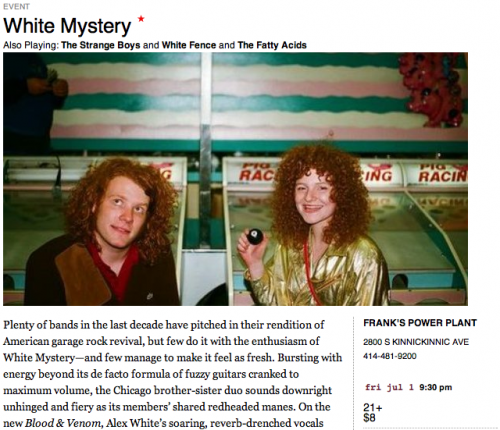 WHITE MYSTERY WILL MELT YOUR FACE AT THE FIRECRACKER 500 FESTIVAL! 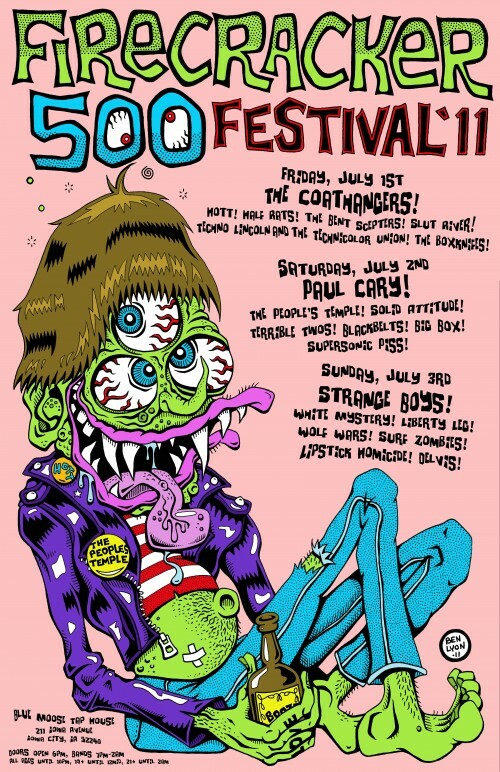 Iowa City is a short drive from Chicago and Milwaukee, and worth visiting for an amazing lineup of of bands, like People’s Temple, The Strange Boys, Liberty Leg, the Boxknifes, and more. Scope this awesome Ben Lyon poster and check out the Facebook invite here.